This article discusses tried and tested methods to encourage more visitors to visit your club website. Spoiler Alert: There is no snake oil involved, just common sense and hard work. The first rule of attracting visitors is to put yourself in their shoes and image what information they would be interested in. From our experience, users coming to team sites are generally craving team news, photos, fixture lists and message boards (all these features come as standard on every teamthing.com website). Once you are confident of your content you need to try to get this information across to the visitor in an attractive and efficient way. All of the website designs on teamthing.com are designed to empathize the most important aspect that users are looking for: team news. The themes on teamthing.com are professionally designed with teams like yours in mind. To show your other/non-news content e.g. events, all our themes enable you to place various widgets on your web pages where you think they will have maximum effect. For example, you can choose to put your league fixture widget in a prominent position on your home page, or you could decide that a list of your latest pictures would be more interesting to your users and display this widget in a prominent position instead. Once you are ‘content with your content’, and your well designed website sorted, it is time to tell the world. Top of the list is social media. 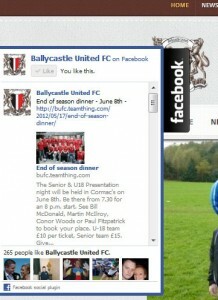 Over the years our clubs have found that social media is, without doubt, the best way to increase visitors to a team website. Your supporters, team, members and potential users will all have different accounts with different social media sources making it difficult for you to reach all your users all of the time. The one common denominator with all your users is that they will all have access to your teamthing.com website. Your team website should be the central hub that should feed Facebook and Twitter with information which directs users back to your site to see the full story/’bigger picture’. Below are some ways which you can use social media in conjunction with your site. Twitter is fantastic for getting your site noticed and for staying in touch with your users. For those of you who don’t know what Twitter is; twitter is basically just a huge public text message service where the messages you post can be seen by anyone worldwide. It is a ‘chatty’ network, meaning users who like to chat a lot and are more personable are more ‘successful’ with this type of social media. Make sure you create a twitter account for your club, it is a free, commitment free, thing to do. Having a Twitter account is one thing but it is when you start following others (so that you get notified when they post a public message) and when others start following you (so that they get notified when you post a public message), that things start to get interesting. Step 1: Follow, follow, follow. 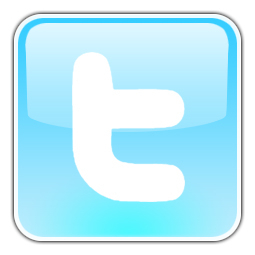 Twitter allows new users to follow up to 2000 users, use this quota wisely. You can only follow more than 2000 people if you have lots of people following you so start by following people who are likely to follow you back. Usually smaller teams and organizations which are related to your field will be most likely to be interested in your Twitter feed and most likely to follow you back. E.g. a soccer team should start following the teams in their league, league associations, other teams in the league association, local sport news sites, local sports writers, local businesses etc. Do not be tempted to follow national figures and faceless corporations who never check their follower feeds and will never ever follow you back. E.g. a soccer club should avoid following too many famous soccer players, national tv pundits, national news sites, big national businesses etc. A quick tip is to check the ‘followers to following ratio’ of the person you are thinking of following i.e. do they have roughly the same amount of followers as the number of people they themselves are following, this will be a good indicator of the likelihood of them following you back. Step 2: Start a conversation. After step 1 you have now announced yourself to a host of twitter users who you think may be interested in what you might be putting on your twitter feed. Hopefully (and in our experience usually) a lot of these users will be flattered by your interest and may follow you back. Be sure to reply to any users who have followed you back with a quick personal message (not too long or generic a message as this will probably be regarded as spam by the receiver). Start looking at and engaging with the people in your new list. Reply to someone. Retweet a post they have made. Try to be helpful in some way. Respond when they ask a public question. Just a few minutes a day makes a big difference in showing that you’re interested in what people have to say, not just broadcasting your own message. For a fantastic example of a relatively small team making it big on Twitter, check out Pumpherston United @Pumpherston_Utd on Twitter; their proactive daily engagement with followers has earned them over 4500 followers. Step 3: Publish to twitter. Twitter is very limited in what you can write (only 140 characters), so you cannot post a full news article to twitter but you can post the headline and a link so that users will click and open your website. The process to automatically posting a short message to your Twitter page every time you create a new news article can be achieved using the auto post features included with all teamthing.com sites. The auto post will post the news article automatically to twitter (and Facebook) and will include a link back to the full article. Step 4: Utilize the other social tools on teamthing.com. You can also show all your social media status updates from within your website. Use the social slider that comes with every teamthing.com site to both show your recent social media status updates. If you do not have a twitter account for your team, do so now (it’s free and easy). It is harder to build a following on Facebook than on Twitter. A ‘follow’ on Twitter can be seen as a fleeting indication that the user may be interested in something you might say in the future and does not usually carry the deeper social interest that a ‘like’ on Facebook carries. ‘Likes’ on Facebook are harder to come by than ‘follows’ on Twitter, they signify a definite affiliation with your team/group. The social climate. There is generally less frequent engagement on Facebook compared to Twitter. In general, Facebook is more like an interactive noticeboard for users to read at their leisure; Twitter is more interactive and requires more personal interaction with individual users to make any impact. Sign up to Facebook Sign up for a Facebook page, it is free and easy. Choose a header Choose an engaging header for your page (one of your latest team photos usually works best, take a look at Ballycastle United FC’s facebook page for a great example). Upload photos: Upload all your photos to Facebook and arrange them into albums. You may wonder why we suggest uploading all your photos to your Facebook page and not to your teamthing.com site; you can do either, but your teamthing.com site can ‘pull’ these photos in from Facebook and display them on your website, saving you duplication of effort. Social Slider Use the social slider that comes with every teamthing.com site. The slider shows your recent statuses and also doubles as a ‘Like’ button. Our advice is to create both a Twitter & Facebook account, follow the tips above on how to utilize both, and use the tools on teamthing.com to maximize your efforts. Ask yourself, where would you go to look for information on a club like yours? Usually local councils and sporting bodies keep a list of teams in their area, contact these bodies and make sure your details are up to date. Nobody wants to return to a website that they are pretty sure will not have changed since the last time they viewed it. Have Dynamic content on your site – Message Boards, Picture Gallery, Quote of the day, News items, Site Search, Fixture lists, event lists … It all makes for a more enjoyable experience for your visitors … and interested visitors come back. Another thing that gets traffic to your site is to get users to find your website through a search engine. Put all your news articles into relevant categories. When adding media such as images make sure to add a description and title for your media when uploading. Spell check. When a search engine scans your site, make sure it recognizes the words you want it to pick up. Fortunately when you edit a teamthing.com article there is usually a spell checker integrated into your browser. Sentence structure. When creating an article use the text formatting with care e.g. do not format your text as ‘Heading 1’ in several parts of your document, this will confuse a search engine as to what the title of your news article actually is. 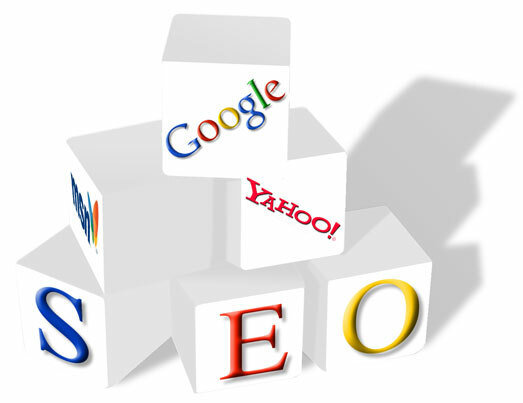 Some extra tips on SEO can be found here. teamthing.com automatically sets up a myteamname.teamthing.com website address whenever you sign up. However, if you are looking to drive traffic to your site through search engine optimization then having your own domain name can be important. Fortunately teamthing.com has you covered there, at any point you can buy your own domain name through teamthing.com (or buy the name elsewhere and point the domain to your *.teamthing.com address). See how to do it here. Once you have traffic coming to your site it is a good idea to analyse and compare this data. To set up analysis of your sites visitors we recommend that you use Google Analytics. Google analytics is the most widely use web analytics tool (and it seamlessly integrates into your teamthing.com dashboard). Once your google analytics account is connected to your teamthing site you can view the makeup of the visitors coming to your site each day and also see how your news articles and email campaigns have affected these figures.